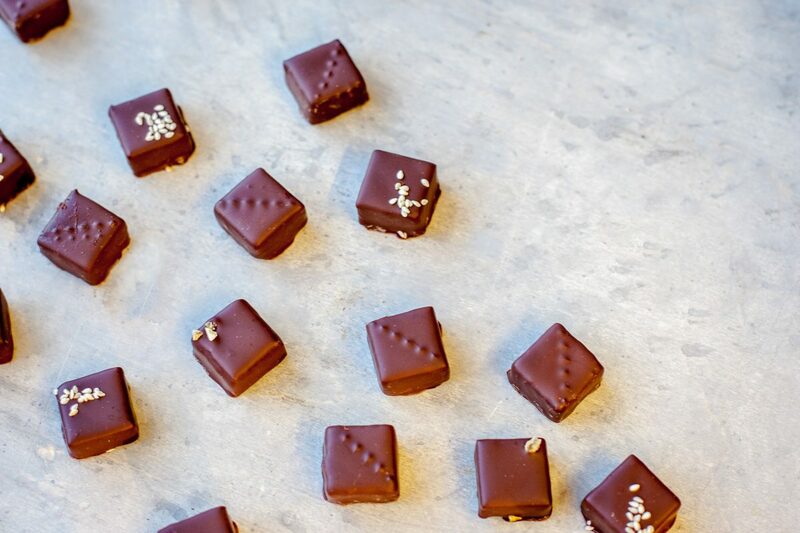 Searcys and William Curley present a bespoke trio of chocolates at St Pancras. William has made a name for himself as one of the best chocolatiers in the world. His numerous accolades include being four times winner of Britain’s Best Chocolatier by The Academy of Chocolate and the Master of Culinary Arts by the Royal Academy of Culinary Arts. William Curley aims to source only the world’s finest ingredients. There are no additives, colourings or preservatives used in any of the products. You can purchase a Trio for £4 – the perfect pairing with sparkling wine. Or enjoy the Due for £2.95 – an ideal way to end a meal with coffee or tea.